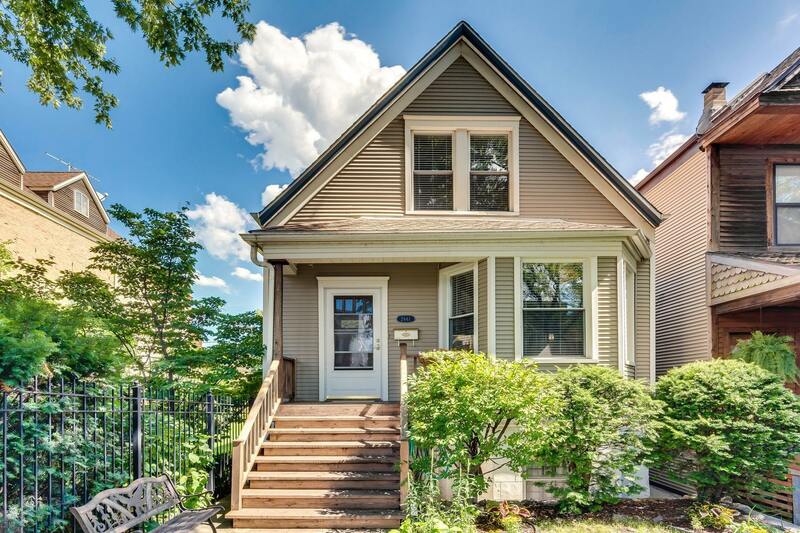 Spectacular Single Family home in Lincoln Park. Long time owners have meticulously maintained this home. Gorgeous curb appeal welcomes you into this bright and spacious 3 bedroom 2 bathroom home. Enter into a foyer with coat closet - Hardwood floors guide you to the formal living room that has bay windows and tons of space to relax and entertain. Adjacent you have the formal dining space with ample room for thanksgiving or dinner parties. Large eat in kitchen has tons of counter space with a great breakfast room that opens up to your deck. 1 bedroom and a full bath on the main floor plus an office. 2nd floor features fantastic master bedroom with walk in closet. 2nd bedroom on floor 2 is spacious and features 2 closets. Tons of storage in this home. The unfinished basement has nearly 8' ceiling height and is ready for your ideas. Zoned heating and cooling. 2 car garage. Professionally landscaped. Steps to Wrightwood Park, Chi Che Wang Play lot, Starbucks & Prescott School. Directions North on Ashland to Wrightwood, west on Wrightwood to Marshfield. One way north. Property information last modified by seller on Tuesday, March 19, 2019, 11:26 AM CDT. Information Deemed Reliable But Not Guaranteed. Unauthorized duplication, use, or linkage is prohibited. The information on this web site is for personal, non-commercial use and may not be used for any purpose other than to identify prospective properties consumers may be interested in purchasing. Monthly Payment Calculator results are for illustrative purposes only, not a financing opportunity; calculations assume a 30-year fixed-rate mortgage and do not include closing and other costs. Property Tax on NEW properties is estimated at 1.5% of Listing Price for payment calculation purposes; actual value may be higher or lower.